Set in summer 1977, the film the is about the secretive five-year love affair between Scott Thorson and a much older Liberace. BEHIND THE CANDELABRA takes a behind-the-scenes look at their tempestuous relationship – from their first meeting at the Las Vegas Hilton to their very public break-up. 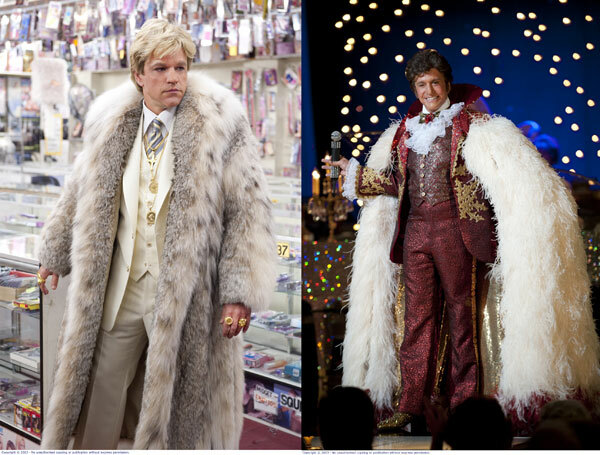 It's exciting to see Liberace's lavish lifestyle and outrageous wardrobe and pretty shocking to see the lengths Scott went to to make him happy. Liberace, the virtuoso pianist, was one of the most outrageous entertainers and flamboyant stars of stage and television and you can clearly see his influence on other great artists such as Elvis, Elton John and even Lady Gaga, and do you think he could be held up as a Kardashian style guide? The film demonstrates his showmanship and extravagance as a world-renowned performer who had a huge and loyal fan base during his 40-year career. Michael Douglas is amazing playing Liberace. It seemed like unusual casting, but it works a treat. Rob Low is hilarious as Liberaces' plastic surgeon and Matt Damon is fascinating as Liberaces' lover, good to see him play something a little different from usual. Directed by Stephen Soderburgh and possibly his last film, what a shame that would be. Produced by the legendary Jerry Weintraub and penned by scriptwriter Richard LaGravenese. 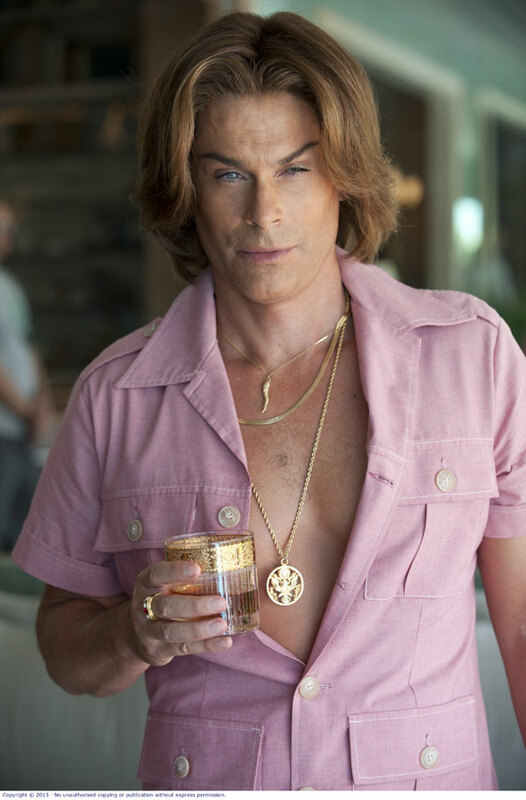 BEHIND THE CANDELABRA is a very funny film in parts, but it's also extremely tragic, emphasizing Liberaces' life of excess and need to hang on to youth and to a youth. The story is engrossing, watching Scott, a very young man from a completely different background, enter Liberaces' world and get the make-over of a life-time. He does seem a bit too sweet and naive for a 17 year old boy, but who is to say... the story is based on a book written by Scott Thorson and Alex Thorleifson and he apparently led a very sheltered life, but boy did that change when he moved into the big house. The film was initially made for Cable TV, but it has everything a film audience could want - a great story, love, cheating, heartbreak, death, drugs, lawyers, surgery... just like Melrose Place except with a gay couple. At one stage it looks like they have a love affair that could go the distance, but tragically when Scott gets into trouble Liberace leaves him out in the cold, or should I say, gives him a push. The scenes of Liberace in performance are truly entertaining and you can imagine how he wooed his audience, drawing them back time and again. During the film, I was thinking that Matt Damons' prosthetics and make up might be a touch overdone, but after seeing video and stills of the real Scott Thorson, I have to say it was spot on, as initially expected from such high calibre of film makers. I enjoyed every camp, mincing, hot tub minute of this film and I highly recommend it. When the film finished I rushed out of the cinema and watched a few clips of Liberace on You Tube... too, too fabulous. Wladziu Valentino Liberace, known as Lee to his friends and Walter to his family, was born in West Allis, Wisconsin, USA in 1919, to a Polish mother and Italian father and, from the 1950s to 1970s, he was the highest-paid entertainer in the world. His concerts, recordings, motion pictures, TV appearances and endorsements spawned a huge, primarily female, fan base. His father was a part-time French horn player whose love of music was instilled in his son at an early age. Liberace was barely four years old when he began to play the piano under his father’s strict supervision and he immediately gave signs of his prodigious talent. Able to commit difficult pieces to memory by the age of seven, the young musician was heavily influenced by the great Polish pianist Paderewski and was further encouraged by meeting the great man after a concert in Milwaukee. His fame was cemented by his television series, The Liberace Show, launched in 1952 and became one of the most popular shows of the 1950s. This exposure helped to launch his phenomenally successful series of live appearances at Madison Square Garden, and led to the succession of extravagant spectaculars in Las Vegas and around the world. He played the piano, sang and danced and joked with the audience during his shows. He appeared in four feature films and in a number of television series in addition to his own, achieved six gold albums and was listed in the Guinness Book of Records as the highest paid musician in the world. Producer Jerry Weintraub was, on occasion, a dinner guest at Liberace’s home and was always impressed with the star’s graciousness and hospitality. As he recalls, “The Rolls-Royce you see on stage in the movie was his bar. We used to enter his house in Palm Springs through the garage and we’d sit down in the back of the Rolls-Royce and somebody would serve us drinks. He was a pretty wild guy! Michael Douglas has his own memories of Liberace. “I met him briefly two or three times when my father had a house in Palm Springs and Liberace had a house nearby. He had a very savvy sense of showmanship. Besides all his popularity in Las Vegas, it was the television show that made him so well-known to everybody in the world. He was probably the first person to talk directly into the camera – it was one of his great abilities, to bring the audience into the room with him. And with that camp style, there was a genuine quality – about him and his performances and how happy he wanted to make people – that won everyone over."